For a decade, Helen Zhang has had a dream: to run an international scientific journal that meets international standards. 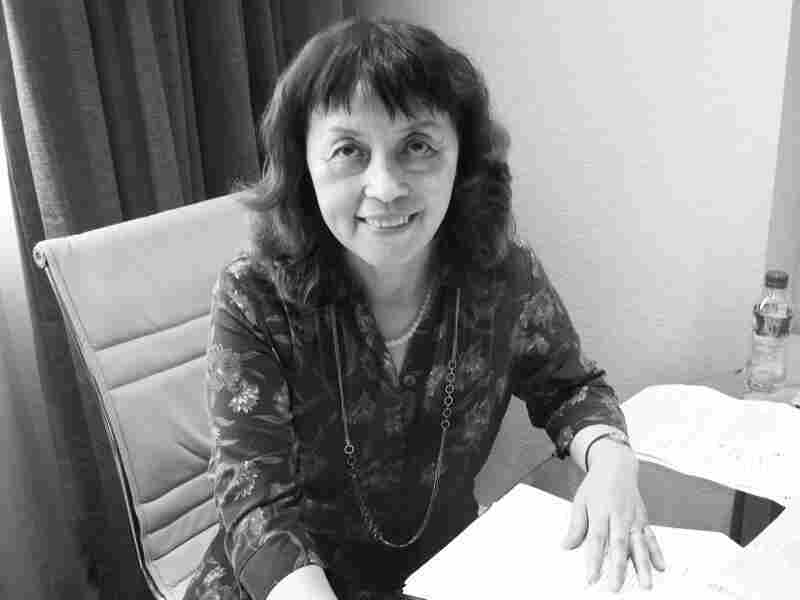 So she was delighted to be appointed journal director for Zhejiang University in the eastern Chinese city of Hangzhou. "In almost two years, we find about 31 percent of papers with unreasonable copy[ing] and plagiarism," she says, shaking her head. "This is true." For computer science and life science papers, that figure went up to almost 40 percent. When Zhang published these findings, she was criticized for bringing shame on Chinese scientists, even though she had emphasized that many of the papers were from overseas. China is forecast to become the world's leading innovator this year, overtaking the United States and Japan in number of patent filings, according to Thomson Reuters. More scientific papers come out of China than out of any other country but the U.S., and Chinese leaders vow it will be a research superpower by 2020. But repeated scientific fraud scandals continue to bedevil China's reputation as an innovator. Zhang and others say blame lies in part with traditional Chinese culture, which values rote memorization and repetition and holds that copying a teacher's work is a way of learning. Zhao Yan of ScienceNet, which boasts of being the world's biggest online science community, agrees. "Chinese culture has weaknesses which hinder innovation, such as being afraid to criticize, being afraid to show personality or think independently. These are big hindrances to the establishment of a scientific culture," he says. Zhao runs ScienceNet from a quiet office building in Beijing. Though it's only four years old, the website gets half a million hits a day. It provides scientists with a Chinese-language platform for open debate and blogging and, along the way, has been used to expose plagiarism and fraud scandals. Zhao hopes the site will change the face of Chinese science gradually by allowing debate and an exchange of views. As large numbers of Chinese scientists return from overseas to take up postings at home, there is hope that they will change the scientific culture in China. Michael Zielenziger, who until recently was with the Monitor Group consulting firm, believes that reform is necessary. "We have to lose some of the Confucian obedience of the university system, and have more give and take, and collaboration and aggressive debate, to move molecules forward, to move ideas forward," says the co-author of a report called "China: The Life Sciences Leader of 2020." "You can also ask the question, 'At what point does the free expression challenge in China get in the way of scientific research?' And that's a fair question, which I don't have an answer to," he says. Despite the outpouring of Chinese papers, Chinese research isn't that influential globally. Thomson Reuters' Science Watch website notes that China isn't even in the top 20 when measuring the number of times a paper is cited on a national basis. ScienceNet's Zhao says he fears Chinese research is still about quantity rather than quality. "If you are only publishing lots of garbage research, then it doesn't have any meaning. Now we only see the quantity. But scientific research only cares about quality," he says. There is another explanation behind this plague of plagiarism: money. Chinese academics receive bonuses and promotions based on how much they publish, and the necessity of being published has led to high-profile scandals. We have to lose some of the Confucian obedience of the university system, and have more give and take, and collaboration and aggressive debate ... to move ideas forward. Michael Zielenziger, co-author of "China: The Life Sciences Leader of 2020"
For example, one international journal, Acta Crystallographica Section E, has, since December 2009, retracted 120 papers from Chinese scientists — with 70 fraudulent papers originating from one university, Jinggangshan University in Jiangxi province. The journal's editor, Peter Strickland, told NPR in an email that in cases not related to Jinggangshan University, the errors may have been unintended, since "the reported crystal structures were wrong due to incorrect atom assignment or poor crystallographic knowledge" — in other words, poor scientific knowledge. But the initial scandal prompted an editorial in The Lancet medical journal calling for China's government to take action. "China must assume stronger leadership in scientific integrity," the editorial urged. "Clearly, China's Government needs to take this episode as a cue to reinvigorate standards for teaching research ethics and for the conduct of research itself, as well as establishing robust and transparent procedures for handling allegations of scientific misconduct to prevent further instances of fraud." Wang Lingyun has yet another explanation for the rampant plagiarism and copying: political hierarchy. A philosopher from Yunnan University, Wang was a victim of plagiarism. He was horrified when he read an article written by someone else in one of China's top philosophical journals that conflated two of his papers. The journal later offered a retraction and an apology, but Wang is still bitter about the experience. "China is still a society of official standard thought," he says. "Everything is run by officials, and a higher-rank official can crush a lower rank. Many academics who commit plagiarism are also officials, so they're seldom held responsible. Words from people of a lower rank mean little." Now there is a danger that China's best and brightest are being scared away. This year, the four students with the highest marks in Beijing's high school graduation exam, or gaokao, all chose to study in Hong Kong, where the system is more open, sparking much soul-searching about China's educational system. Beijing's No. 4 High School is a hothouse of the country's very brightest. Academically, the school is extremely impressive, but many of its students plan to go overseas for tertiary study. "I am sure that I will study abroad, but I will come back to build my country," 16-year-old wannabe rocket scientist Katherine Lee says with conviction. "China is still developing. The most thing we need is science and scientists, so we must come back. It's my duty and my will." Peter Wang, 17, dreams of majoring in math and business at Harvard, Williams College or MIT. When asked why, he doesn't mince his words: "Maybe they're freer in the field of studying. We have more opportunities in such open surroundings. I need more freedom." More than 90 years ago, leading Chinese intellectual Chen Duxiu linked science and democracy. He nicknamed them "Mr. Science" and "Mr. Democracy," saying only these two could save China from "political, moral, academic and intellectual darkness." These days, China is lavishing money on Mr. Science. But without the checks and balances provided by Mr. Democracy, the corruption plaguing the rest of the system is infecting the reputation of Chinese science. However, China's leaders have committed to fighting scientific fraud. And Zhang, the journal editor, says that one year on, plagiarism at her publication has fallen noticeably, to 24 percent of all submissions.